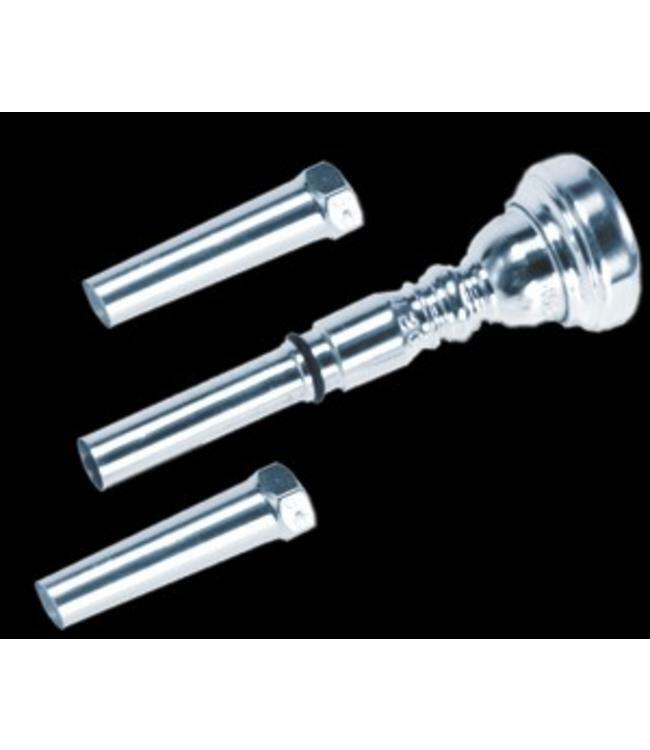 Once a mouthpiece has been converted for our sleeve system, different sleeves can be used in order to "dial in" the correct gap. Our sleeves vary in diameter in small, but significant, increments thus increasing or decreasing the gap. They are available in quarter sizes from #1 through #7 (largest gap is #1, smallest is #7). The change in gap from one sleeve size to the next is .0625" (1/16 inch). Sleeves are available in half sizes allowing for gap adjustments of .0313 (1/32 inch) and quarter sizes allowing gap adjustments of .0151 (1/64 inch).